Applying for auto financing is a necessary step for many car buyers. After all, paying the full sales price for a new car up-front is not financially possible for some people. For other car buyers, it is not an ideal way to spend a bulk of the cash in their accounts. Your car loan payment will affect your budget for several years or longer. In addition, the interest charges that you pay on your loan can inflate the total cost that you pay for your vehicle when all things are considered. By focusing your attention on a few helpful tips, you can keep your financing costs for a car loan as low as possible. One of the most significant factors that will affect your financing costs for a car loan is your credit rating. Auto lenders use a tiered rating system, and borrowers with a better credit rating may qualify for a lower score. In some cases, the difference between the highest and lowest tiers of interest rates can be substantial. A smart idea is to review your credit report before you apply. You are entitled to one free copy of your credit report from each of the three primary credit bureaus each year. Understand that the tiers also vary based on your loan amount and whether you are buying a new or used car. While credit scores are important, understanding all factors impacting the tier structure is helpful when you want to set up the most affordable car loan. When you review your credit reports, focus on finding information that is being reported in error. These things could be negatively affecting your credit scores, and you could easily fix these issues in many cases. If you notice that your scores are lower than you would like them to be because of other legitimate factors, you can spend a few months addressing these issues. For example, you could pay down high credit card balances, pay off an outstanding collection account balance and more. Another factor that will affect your interest rate on a car loan is the loan term that you select. Loan terms usually range between 36 and 72 months, but you may find some loan programs that have longer or shorter terms than this. A longer loan term will create more affordable payments. However, the interest rate is usually higher with a longer loan term. Because the interest rate is higher and you are paying on the loan for a longer period of time, these loans could cost you substantially more in interest charges over the life of the loan than a short-term loan. 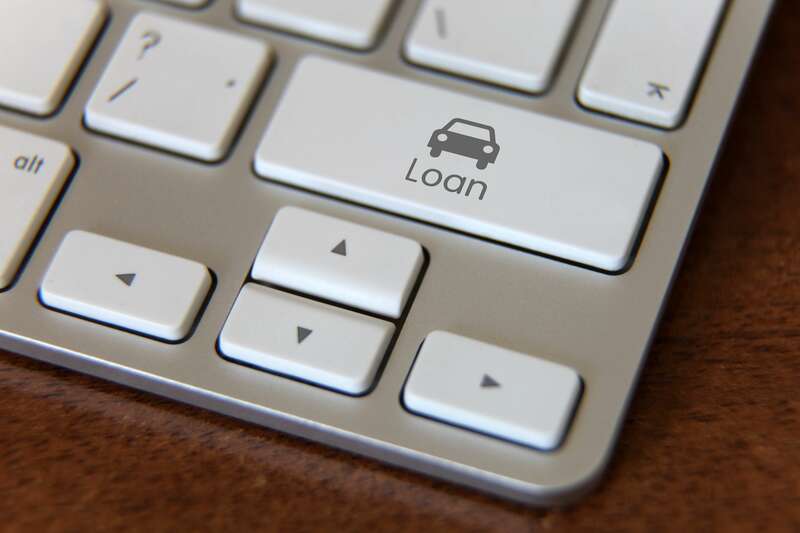 While you want to choose a shorter term for your car loan to keep the overall cost of financing as low as possible, you also need the payment to be affordable. A good rule of thumb is to aim for a 48-month loan term. If the vehicle’s payment is too high with this term, consider making a larger down payment or buying a more affordable car. When you walk into a dealership, the sales department will pressure you to make an immediate purchase. Some use high-pressure sales tactics, and others have more covert methods. However, you will likely feel the urge to make a purchase on-the-spot. Rather than walk into a dealership empty-handed and accept any offer that you receive from the financing department provides to you, spend a few minutes shopping for a low interest rate online. You usually can apply for an online auto loan within a few minutes, and you may receive instant or rapid approval. Pay attention to the interest rate, loan term and loan fees when comparing offers. Simply print out the prequalification letter for the best offer that you found, and bring it with you to the dealership. Regardless of whether you are shopping for a great car loan deal online or you are sitting in the financing office at the dealership, you may be inclined to focus your attention on the monthly payment. An affordable monthly payment is important, but this is not indicative of which loan offer is most affordable overall. While you compare the monthly payment amount, also look at the total financing cost. This information should be fully disclosed to you up-front before you sign any papers. The best loan to apply for has a lower financing cost and an affordable monthly payment. Remember that the loan amount, interest rate and loan term are all factors in calculating the total financing cost. You can manipulate any of these three factors or all of them if you want to reduce your total financing cost to get a better deal on your car loan. With a prequalification letter for the best financing terms that your found in your hand, you can confidently walk into the financing department office. This offer represents the worst-case scenario for financing that you have available. The financing department is tasked with the job of trying to set up an even better deal for you to accept. Essentially, you are telling the financing department to beat the offer that you found on your own. Remember that all factors should be analyzed when you compare offers rather than just the monthly payment amount. Many people walk out of a car dealership thinking that they got a great deal on a car loan because they did not have to make a down payment or because the payment is low. However, you can see that many factors play a role in how affordable the loan truly is over its entire life. You can also see that you have many options available for manipulating loan terms in your favor. Now that you are armed with this information, you can take control over the lending process to set up a truly affordable car loan.